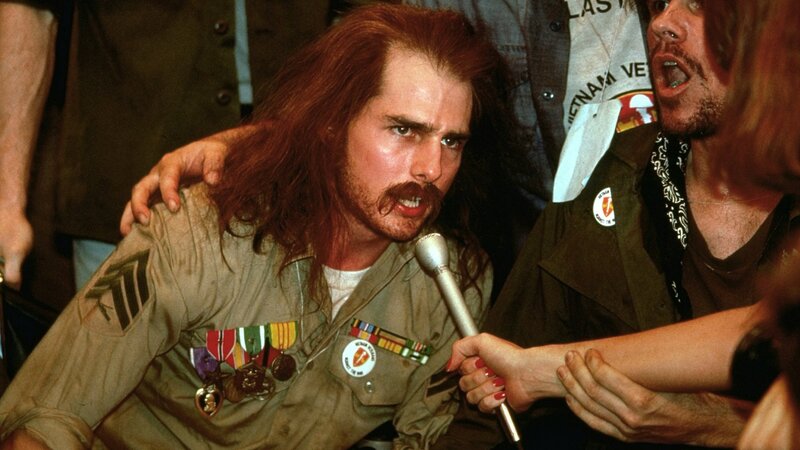 In the mid 1960s, suburban New York teenager Ron Kovic (Tom Cruise) enlists in the Marines, fulfilling what he sees as his patriotic duty. During his second tour in Vietnam, he accidentally kills a fellow soldier during a retreat and later becomes permanently paralyzed in battle. Returning home to an uncaring Veterans Administration bureaucracy and to people on both sides of the political divide who don't understand what he went through, Kovic becomes an impassioned critic of the war.